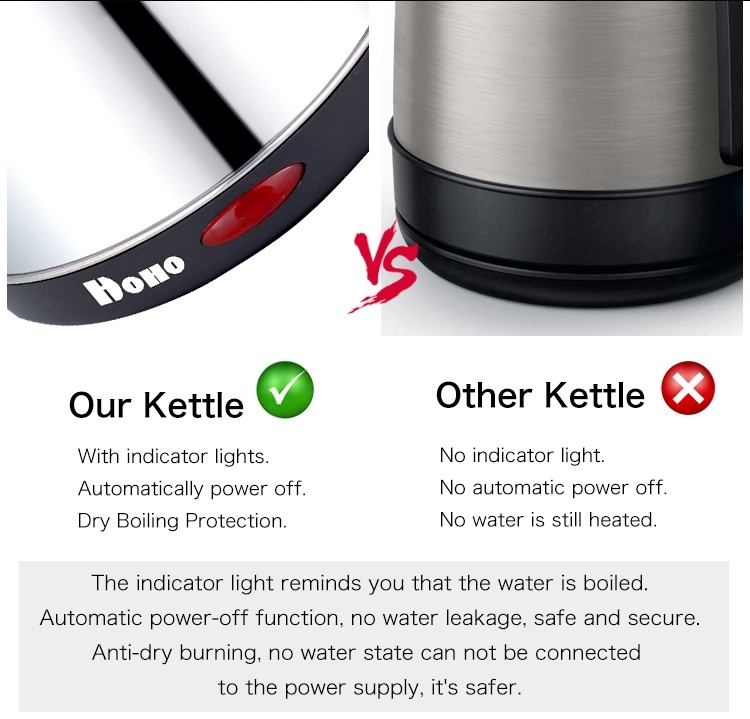 The indicator light reminds you that the water is boiled.Automatic power-off function, no water leakage, safe and secure.Anti-dry burning, no water state can not be connected to the power supply, it's safer. 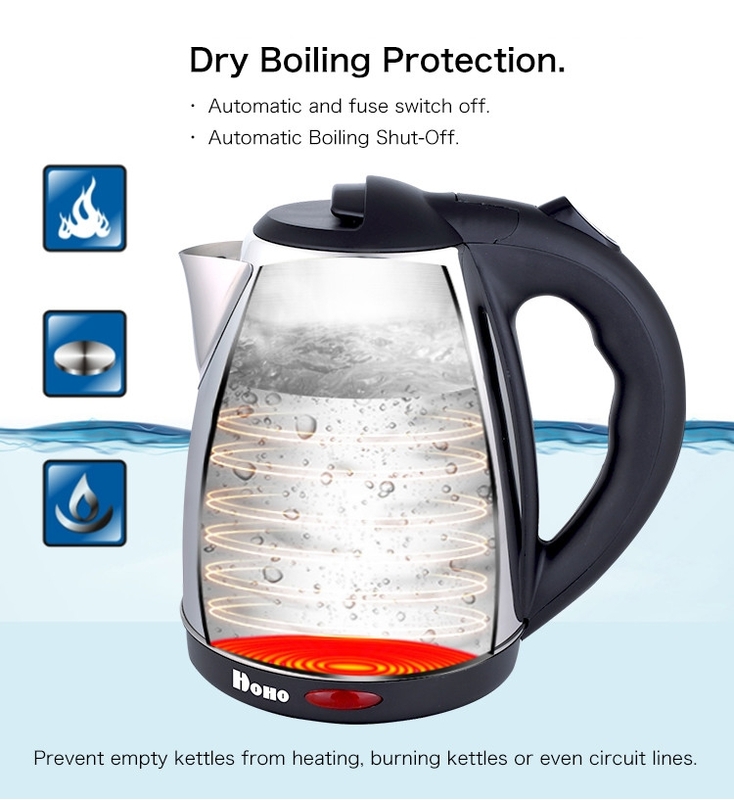 · Automatic and fuse switch off.· Automatic Boiling Shut-Off.Prevent empty kettles from heating, burning kettles or even circuit lines. 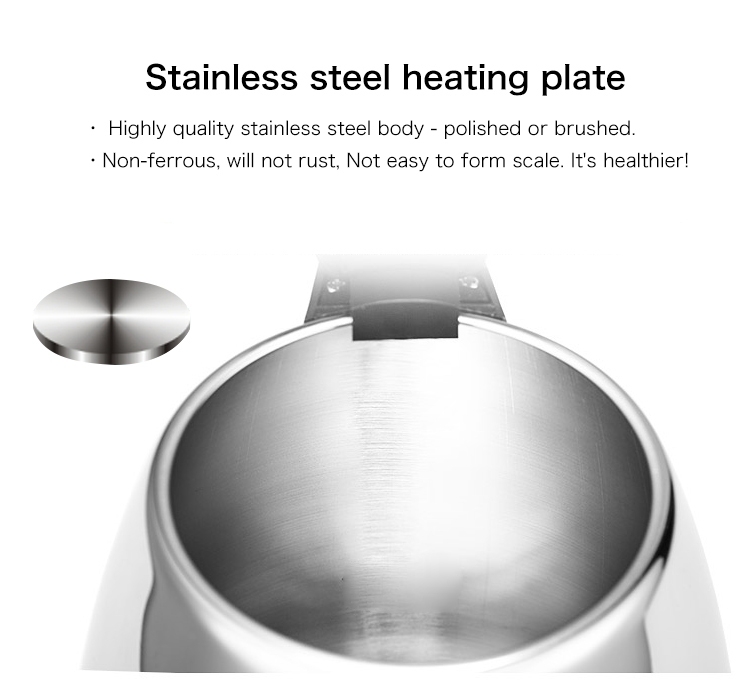 Stainless steel heating plate· Highly quality stainless steel body - polished or brushed.·Non-ferrous, will not rust, Not easy to form scale. It's healthier! 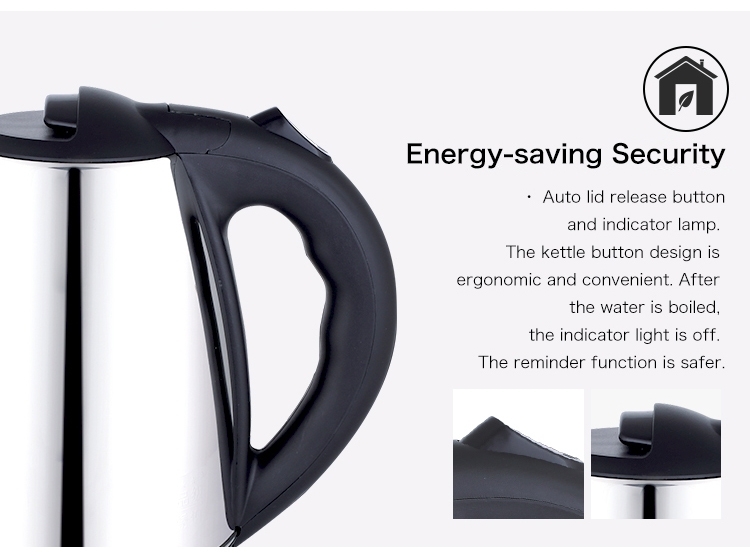 Energy-saving Security· Auto lid release button and indicator lamp. 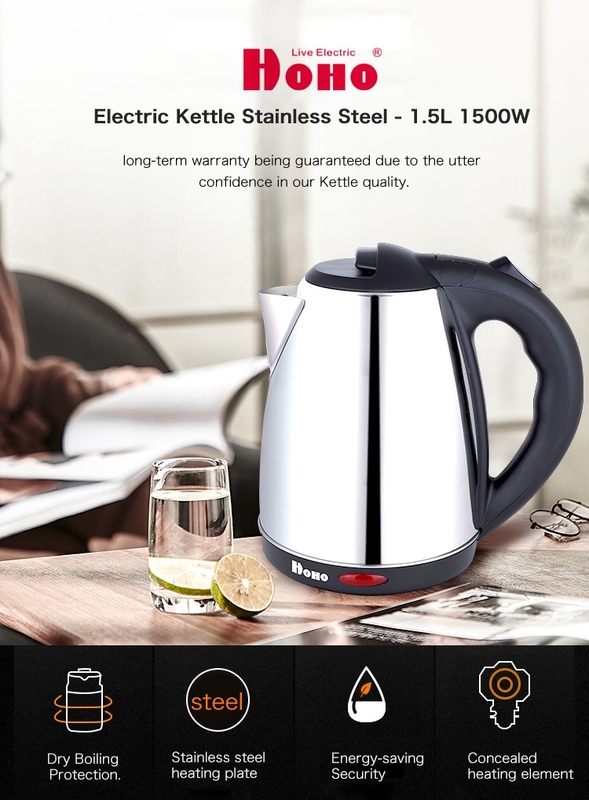 The kettle button design is ergonomic and convenient. After the water is boiled, the indicator light is off. The reminder function is safer. 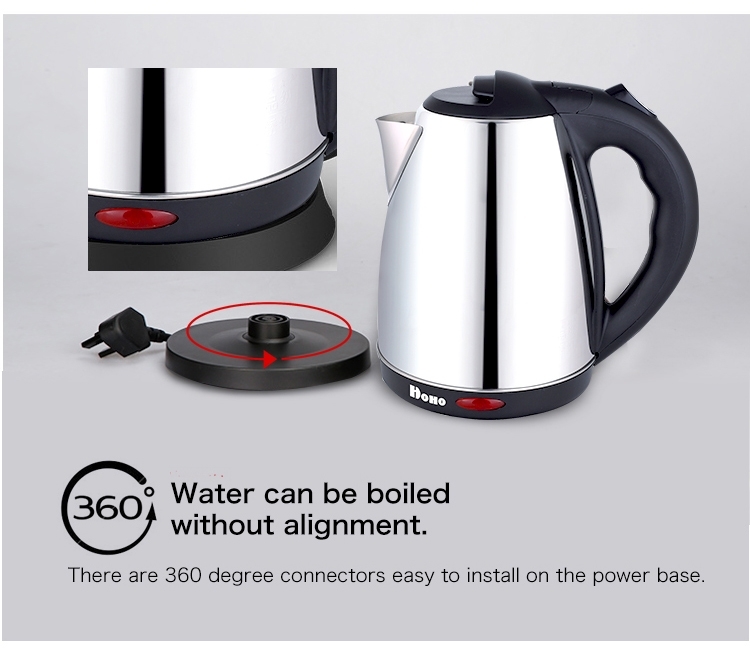 · There are 360 degree connectors easy to install on the power base.Water can be boiled without alignment. 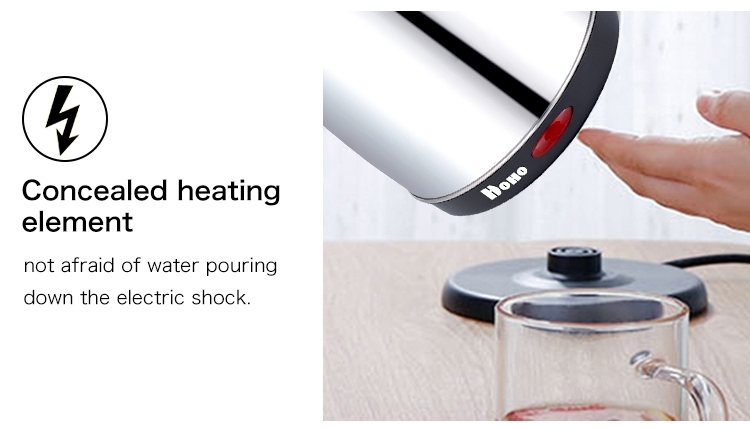 · Concealed heating element, not afraid of water pouring down the electric shock. 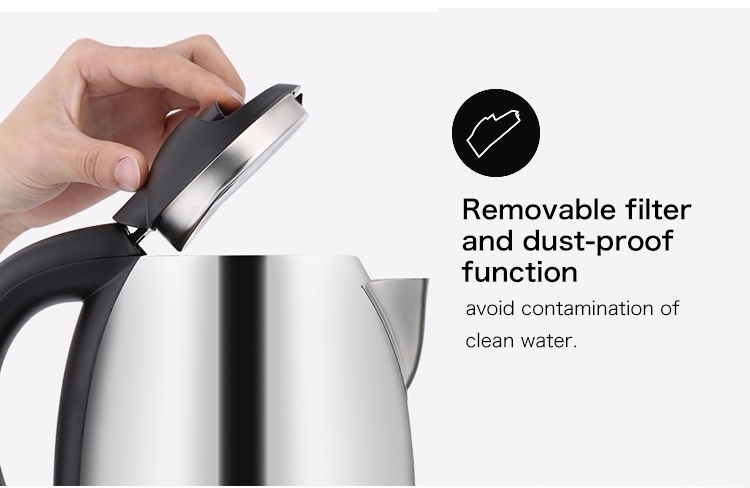 · Removable filter and dust-proof function, avoid contamination of clean water. 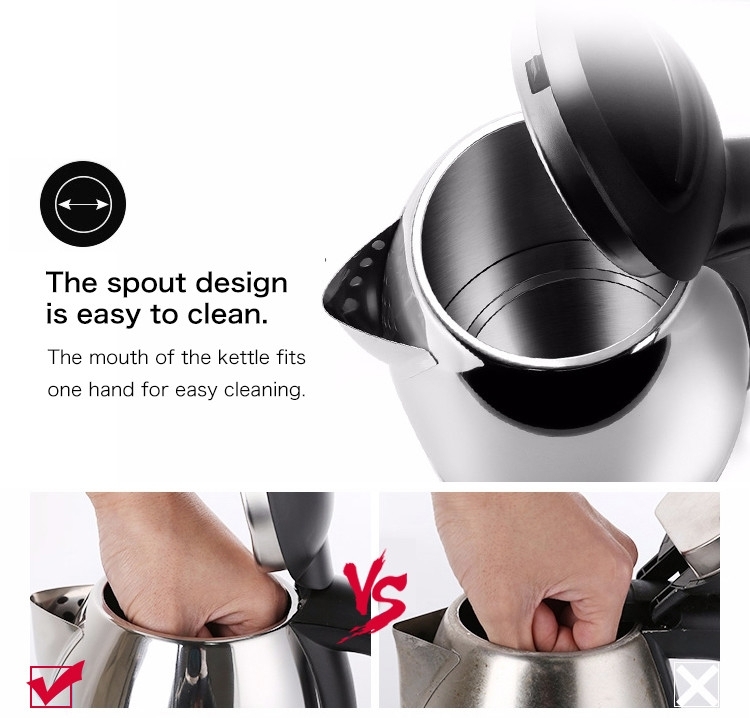 The spout design is easy to clean.The mouth of the kettle fits one hand for easy cleaning. 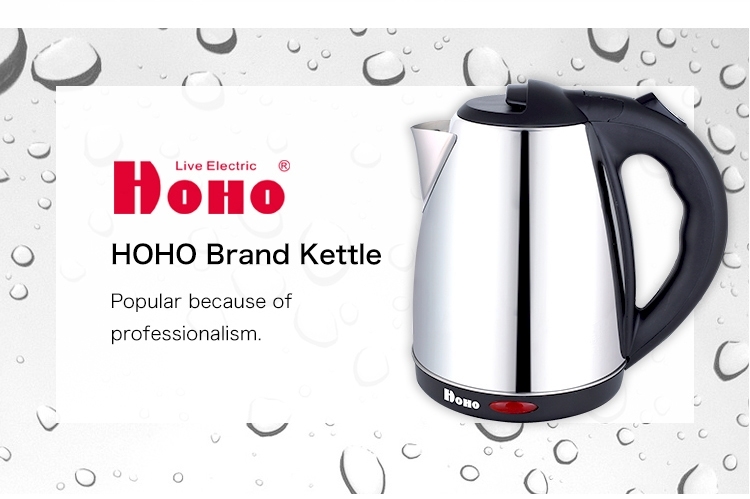 HOHO Brand KettlePopular because of professionalism. HOHO was founded in 2009. 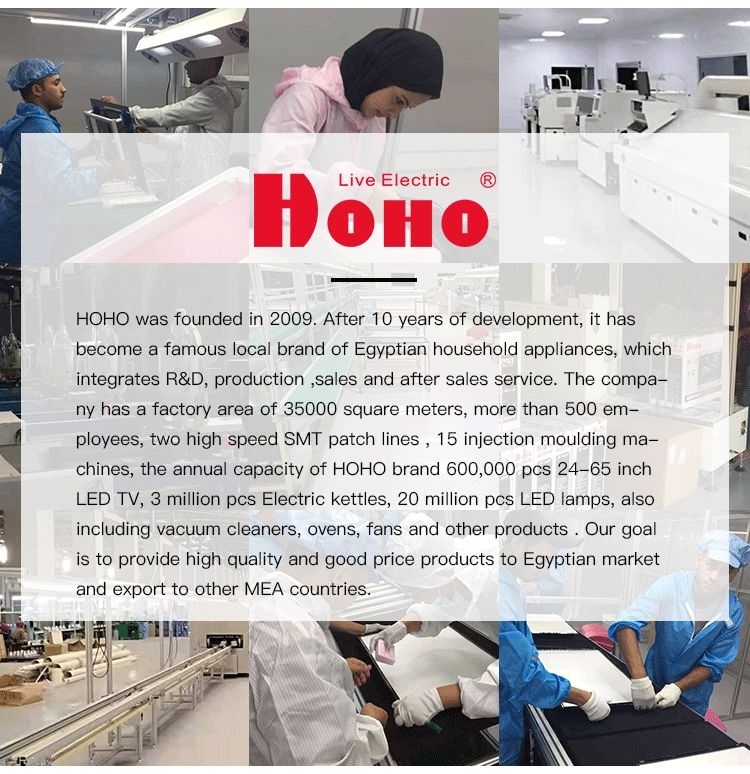 After 10 years of development, it has become a famous local brand of Egyptian household appliances, which integrates R&D, production ,sales and after sales service. The company has a factory area of 35000 square meters, more than 500 employees, two high speed SMT patch lines , 15 injection moulding machines, the annual capacity of HOHO brand 600,000 pcs 24-65 inch LED TV, 3 million pcs Electric kettles, 20 million pcs LED lamps, also including vacuum cleaners, ovens, fans and other products . 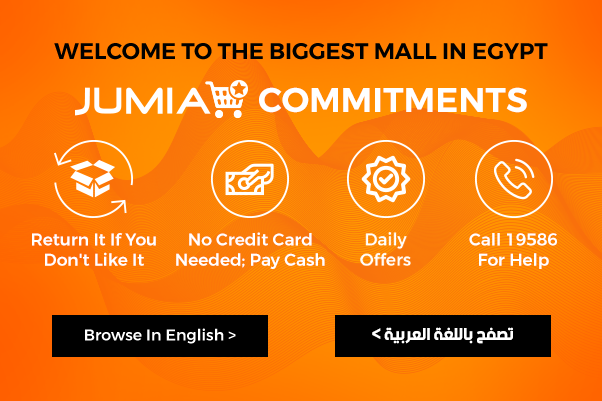 Our goal is to provide high quality and good price products to Egyptian market and export to other MEA countries.